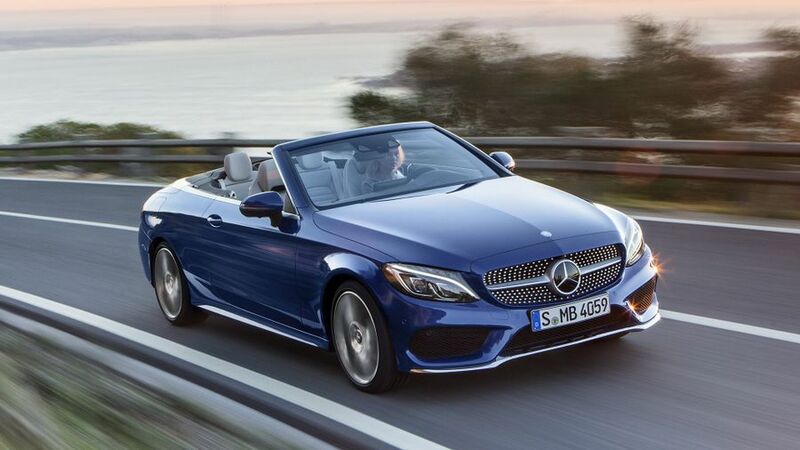 Mercedes has shown off the latest addition to its C-Class line-up, the Cabriolet, at Geneva. Due to go on sale this summer, it will also be the cheapest model in the company’s range of open-top cars. The car comes with a black folding fabric soft top, but if buyers choose the optional multi-layer ‘acoustic’ top, they also get the choice of four colours – brown, blue, red or black. 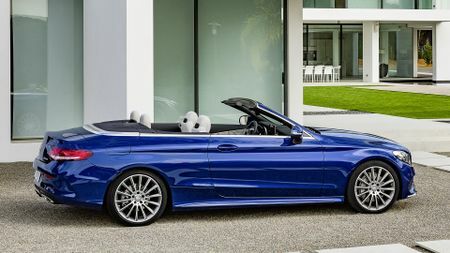 The roof itself can be opened or closed using a switch on the centre console in less than 20 seconds at speeds of up to 30mph; and, with the roof up, the car is designed to look very like the existing C-Class coupe, which is almost identical in size. Thanks to its sports suspension, the Cabriolet sits a little lower than the saloon, meaning it has a more sporty appearance. 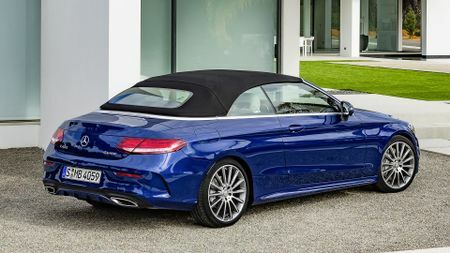 And, that is enhanced even further on the range-topping Mercedes-AMG C 43 Cabriolet, which has its own look. Inside, the cabin is based on that of the C-Class saloon, but with a few features that befit a cabriolet. So, those in the front sit in sports seats, which can be specified with the option of heat-reflecting leather upholstery and the ‘Airscarf’ neck-level heating system. On top of that, there is plenty of scope for personalisation, too. To improve the car’s practicality, the two rear seats are split 50/50 and can be folded down to extend the 360-litre (285 litres with the roof open) boot. And, to improve the comfort of those on board, a draught stop can be fitted behind the front seats; the climate control system operates differently depending on whether the roof is up or down; and, a wide range of active and passive safety features, and the latest in connectivity, are available. As befits the car’s sporty looks, Mercedes says the car has been set to give a sporty drive, but both sports suspension and adjustable air suspension are available as options. Four-wheel drive is also optional, while buyers have a wide choice of four- and six-cylinder petrol and engines, with power outputs ranging from 154- to 362bhp, and CO2 emissions from 116g/km. There’s no word yet on how much the car will cost when it goes on sale this summer, but we expect the Cabriolet will be about £2000 more than the equivalent Coupe – and that range costs from £30,995. Interested in buying a Mercedes-Benz C Class?